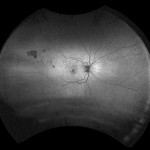 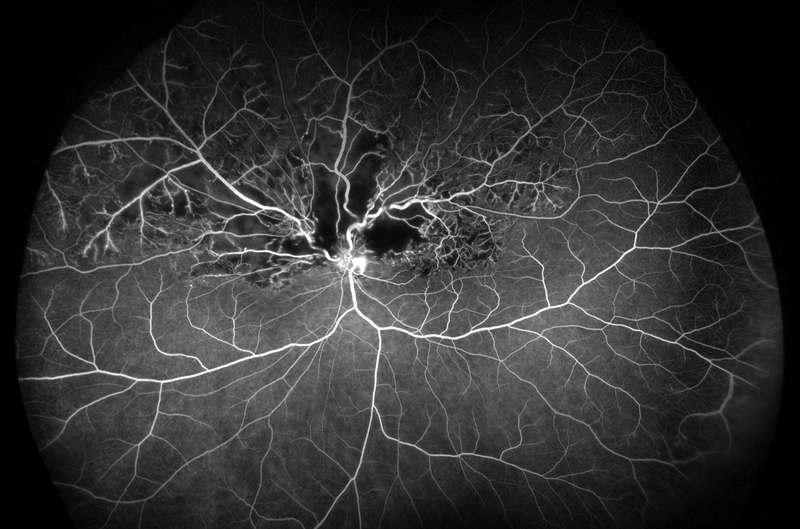 Thrombosis of the central retinal artery or compression of the adjacent central retinal artery may cause a CRVO. 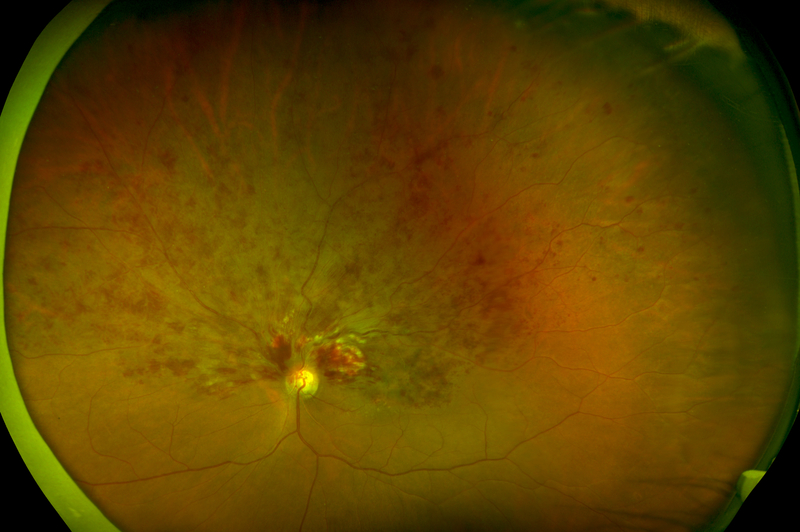 Hemorrhages, venous dilation, and in some cases cotton-wool spots can be seen both in the posterior pole and periphery. 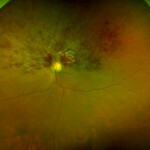 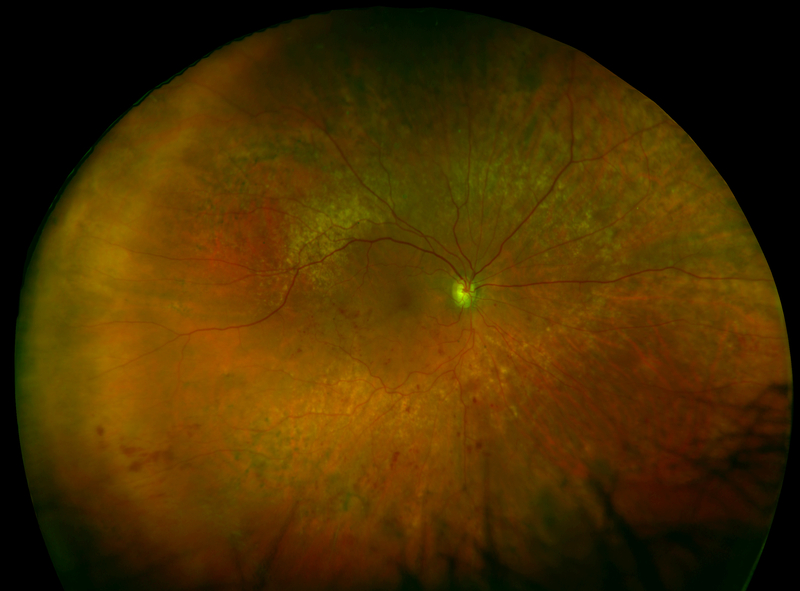 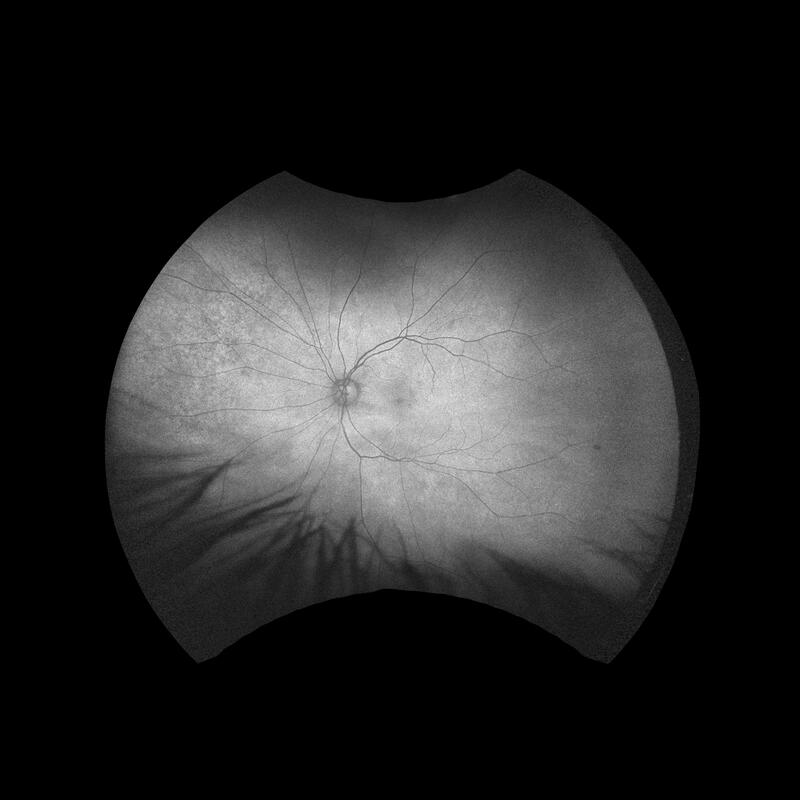 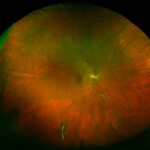 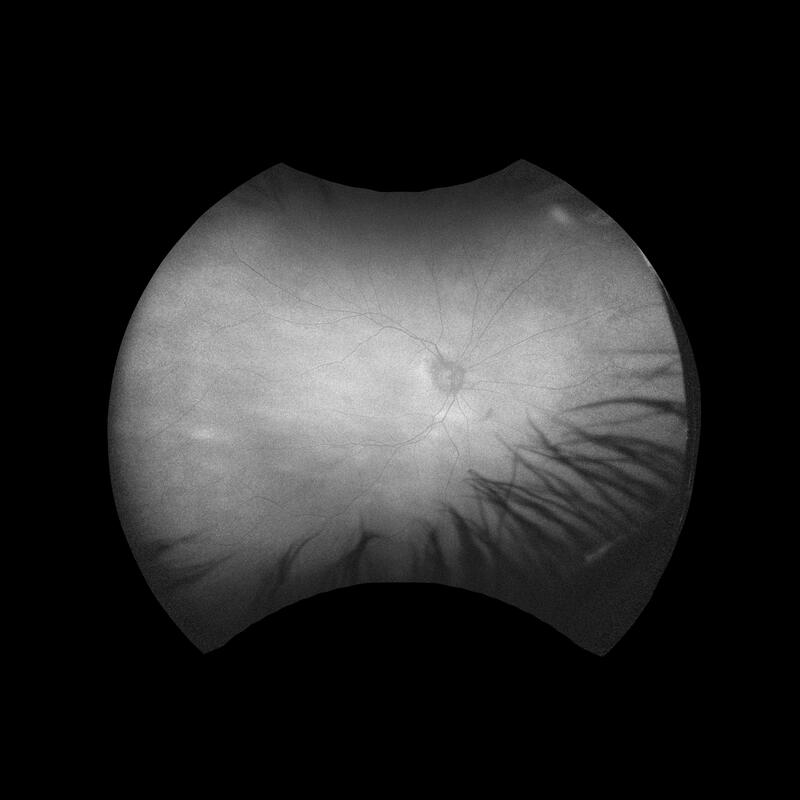 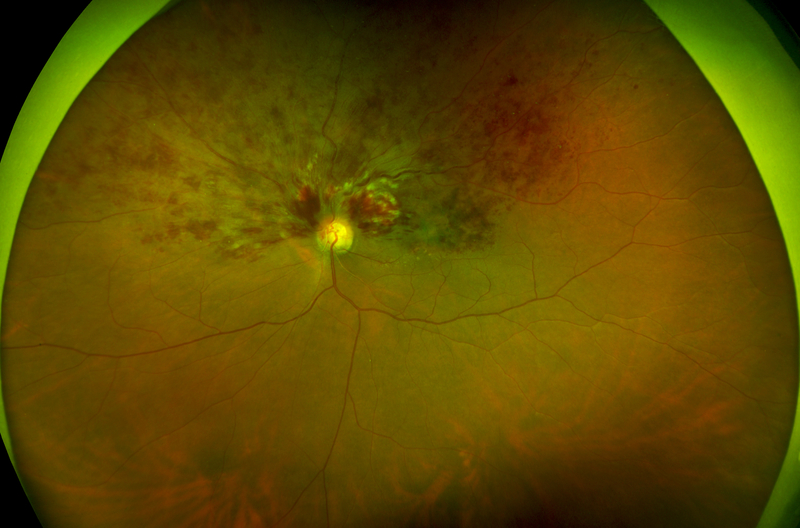 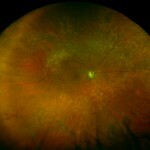 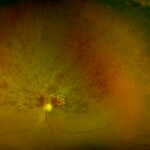 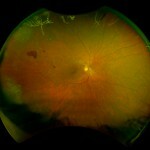 There is retinal edema and sometimes optic disc edema. 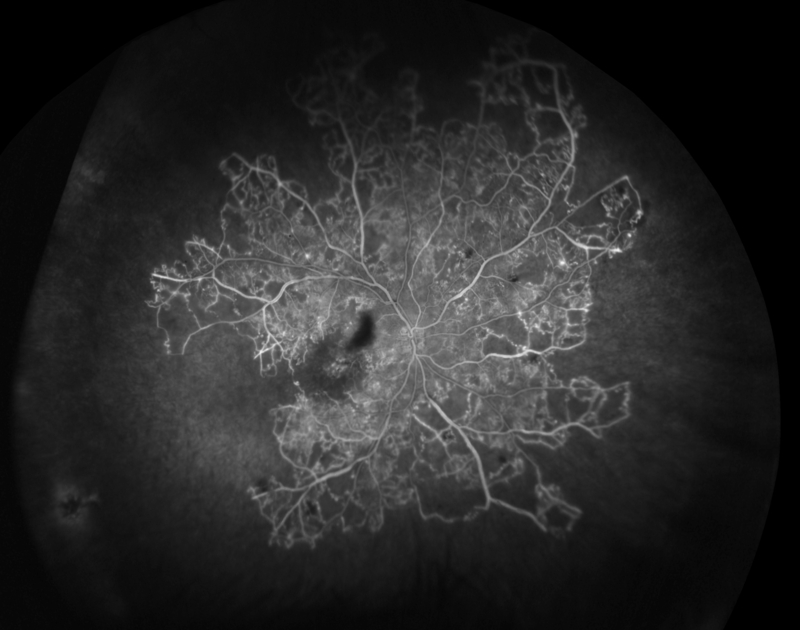 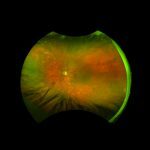 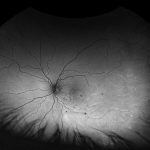 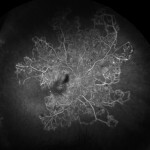 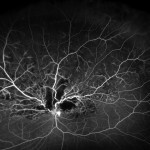 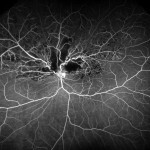 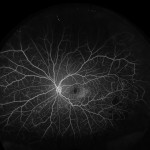 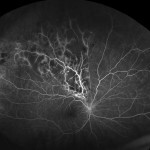 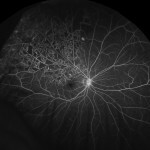 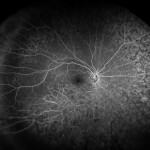 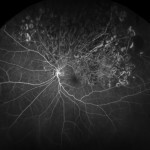 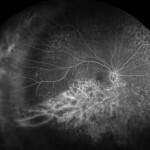 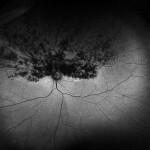 Sometimes there may be neovascularization of the retina or iris. 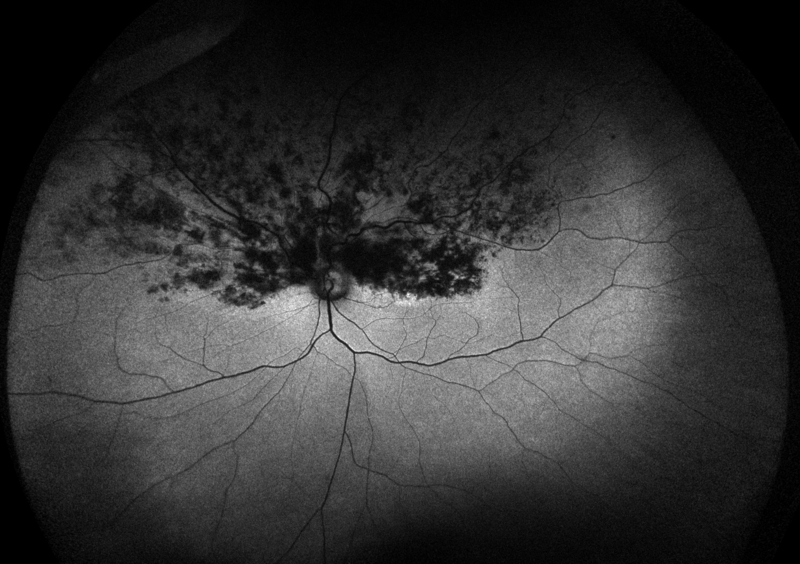 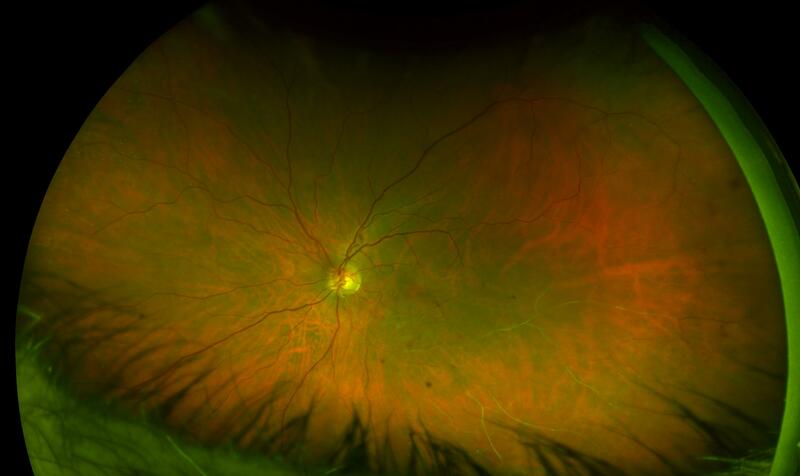 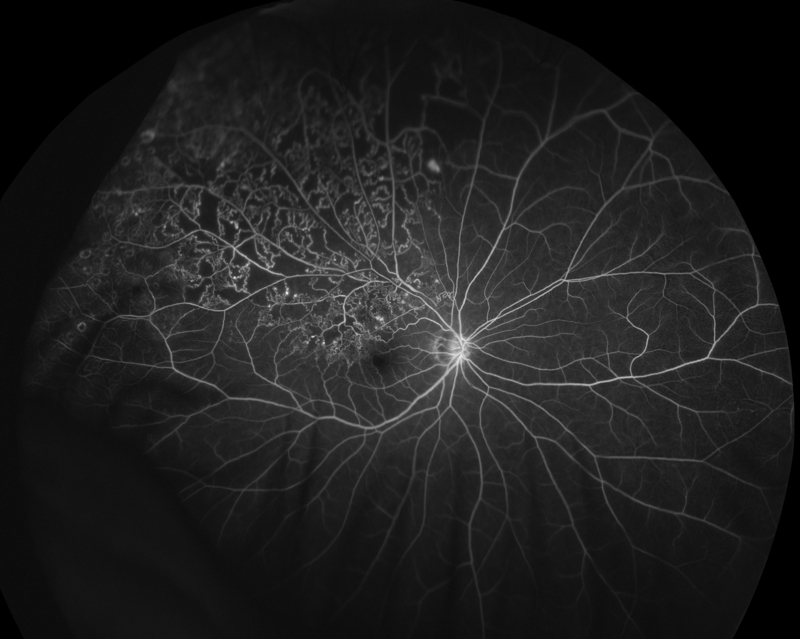 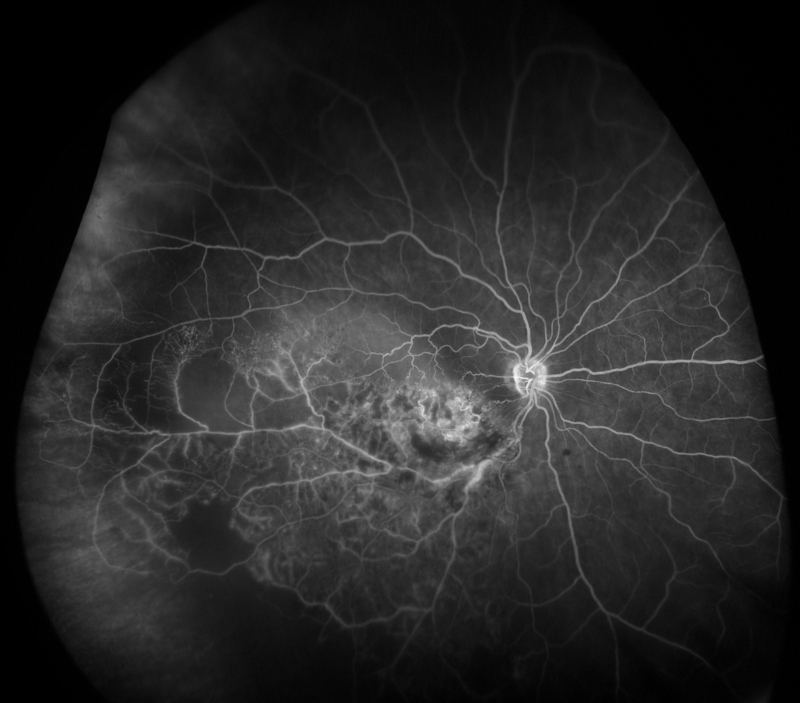 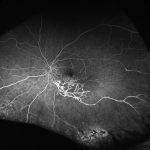 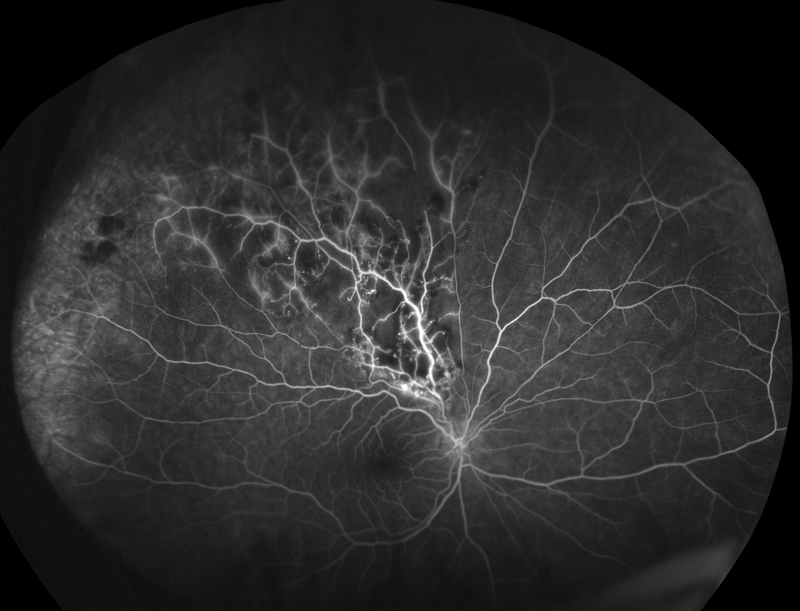 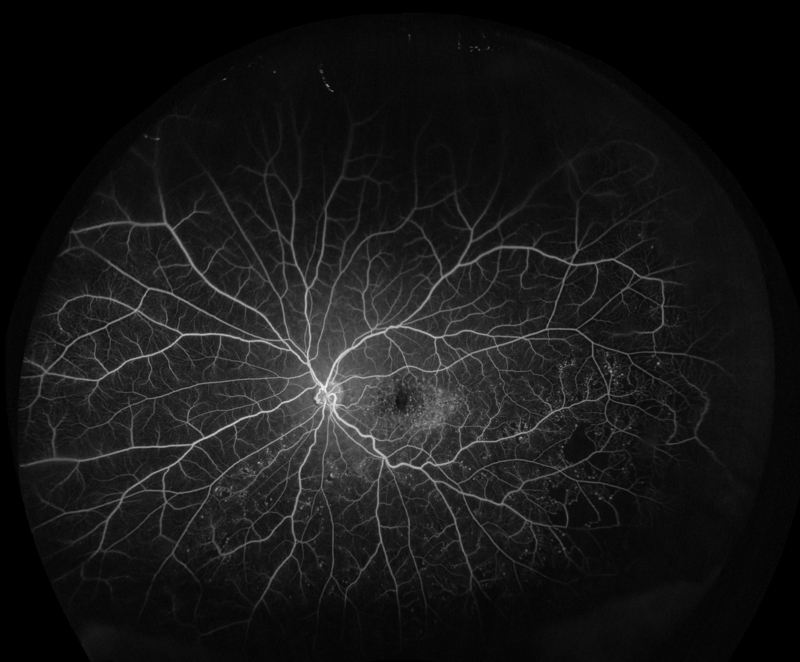 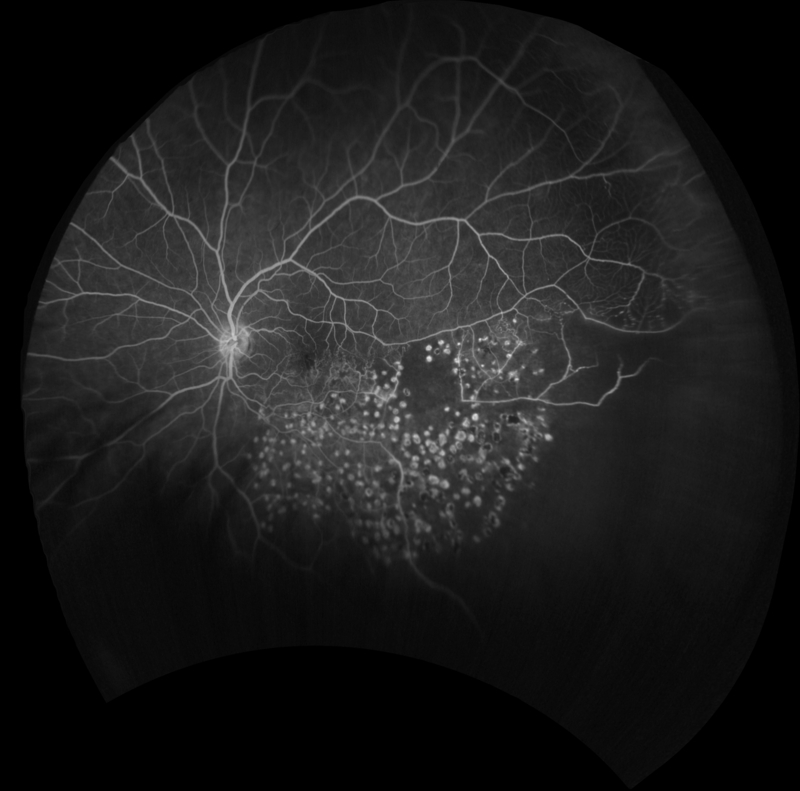 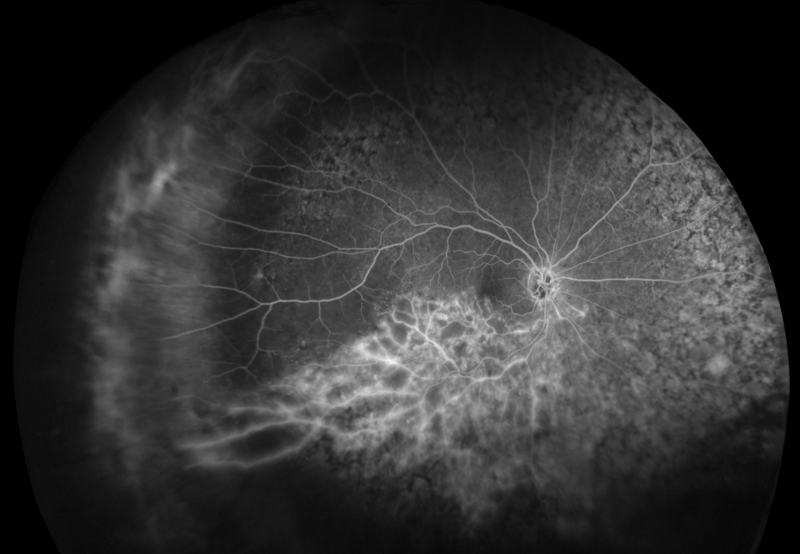 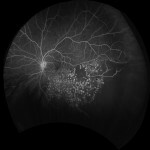 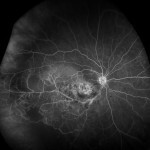 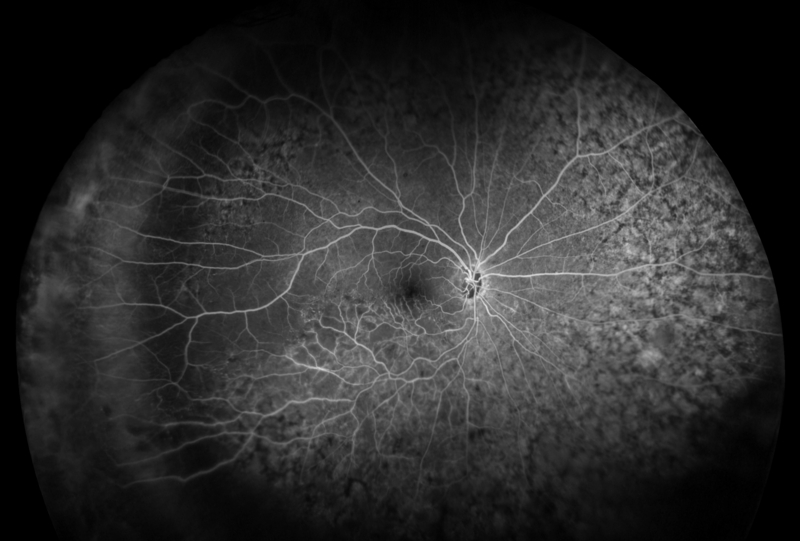 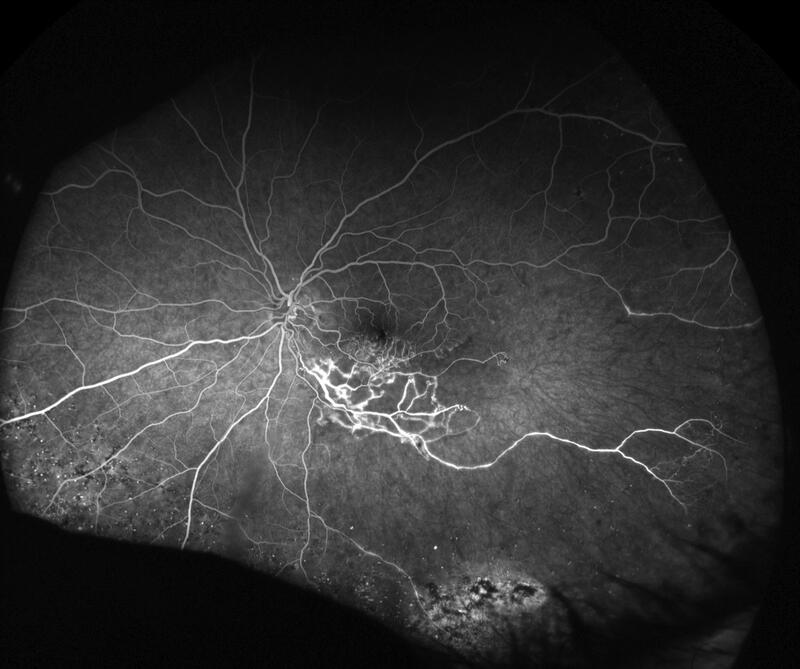 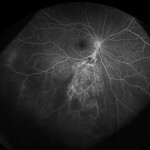 This may require photocoagulation or anti-VEGF injection to attempt to achieve regres-sion of the new vessels. 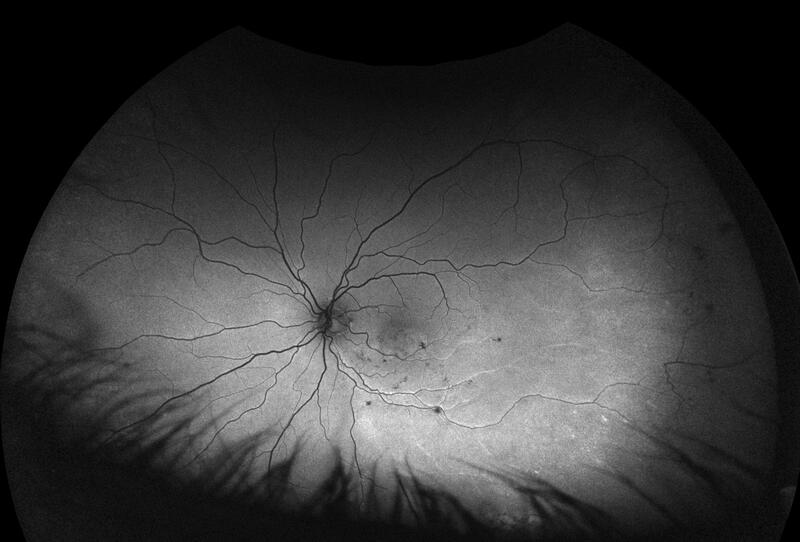 Neovascularization of the iris (NVI, rubeosis iridis) may lead to an anterior chamber bleed or neovascular glaucoma (this often occurs about 90 days later). 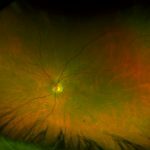 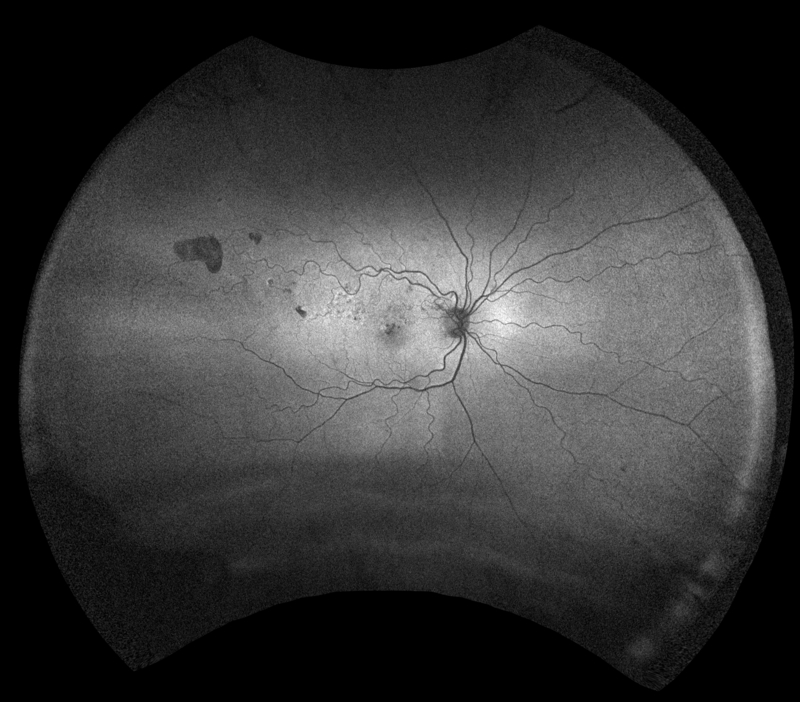 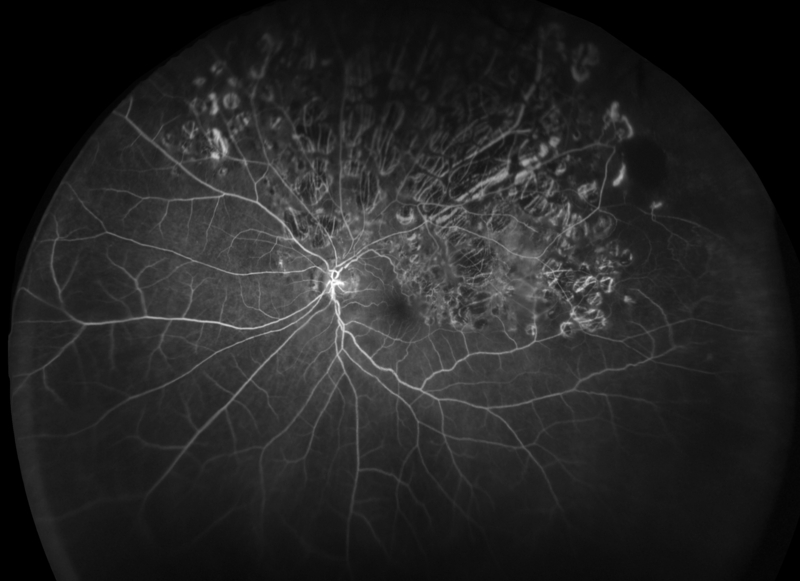 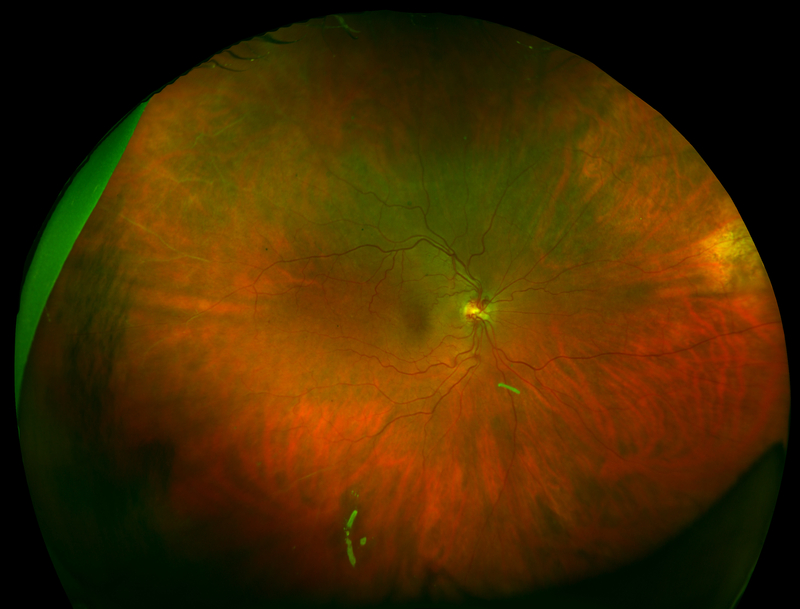 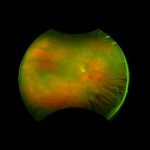 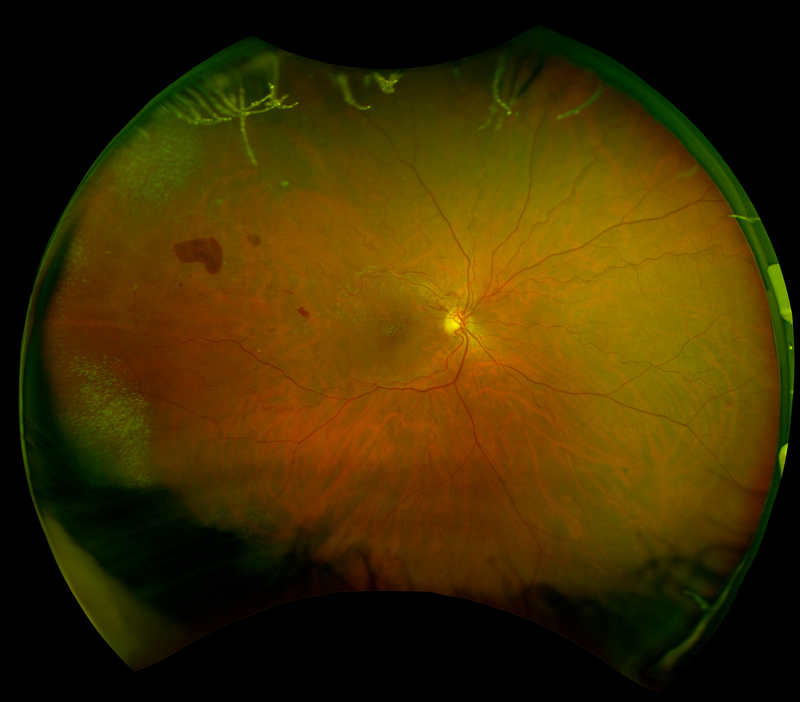 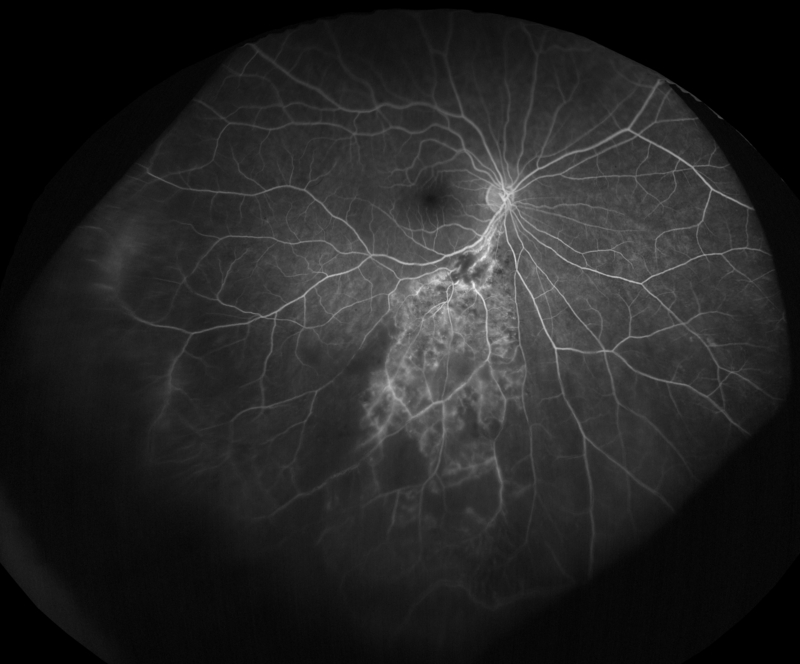 When the drainage of the central retinal vein is slowed significantly, then preexisting vessels at the margin of the optic disc may shunt blood flow to the choroid (optociliary vessels). 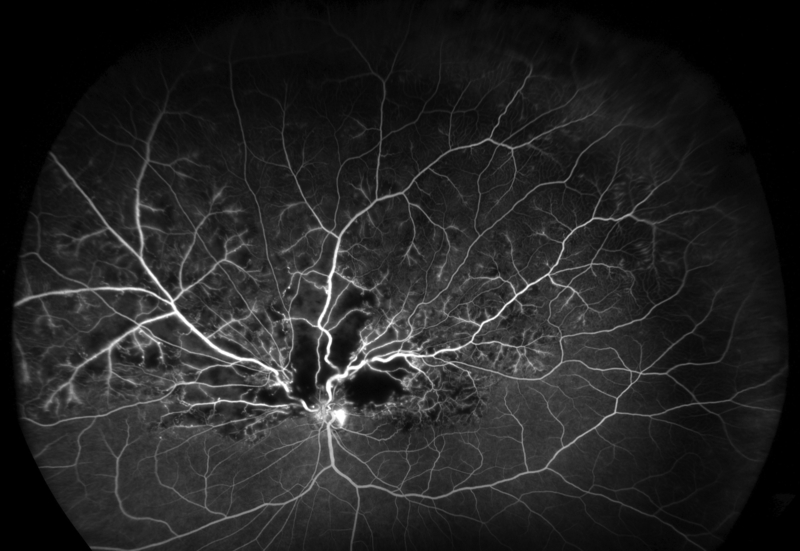 These shunt vessels appear as tortuous vessels ‘red worms’ on or next to the disc.